The author argues that the way we perceive death shapes the fundamental pattern of our lives. Fear death, and we live pessimistically, learn to accept it and life's possibilities open up as varied, exciting and precious. 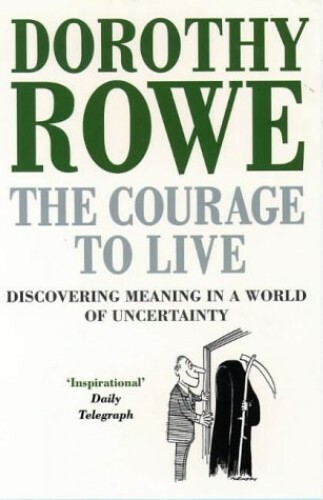 This book reveals how to combat a fear of death. The way in which we perceive death shapes the fundamental pattern of our lives, the very core of our existence. Fear death, and we live pessimistically in its shadow; learn to accept it, and life's possibilities open up as splendidly varied, infinitely exciting, precious beyond price. Drawing on personal interviews and her insight into the practices of psychotherapy today, the author reveals how we structure our lives - how, out of the formless chaos of reality, we give meaning and purpose to our existence through the influences of different cultures, languages and beliefs. From the author of "The Successful Self", "Beyond Fear" and "Wanting Everything".